Deborah Humble talks with dramatic contralto Liane Keegan about her musical life in Melbourne and recreating the role of Erda in the 2016 Melbourne Ring. What motivated your return to Australia in 2012 and what is your perception of the cultural and artistic life here by comparison? I no longer enjoyed working in opera in Germany. I had been living overseas for 20 years by this stage and felt it was time to come home. The fest system stifles individual development if you are an ensemble member as I was at the Deutsche Opera. Without being able to supplement my monthly stipend with guest contracts it was also no longer financially viable to remain in Germany. Since my return to Melbourne my life has been extremely happy and fulfilled. I have had some wonderful opportunities with my singing and my teaching studio was very quickly established and I now have many talented young singers working with me on a weekly basis. I also established XLArts.org, a not for profit group, with conductor Patrick Burns and we work to provide performance opportunities for developing singers of all ages and stages, to help them further develop their craft and skill set as burgeoning opera singers. The opera and arts scene here in Australia is very different to Europe. In Australia we don’t have the commitment to the arts that the Europeans do either financially or culturally. In Europe very young children are taken to the opera not as a special treat but as a part of their daily life. Here the companies are working hard on this next generation of opera lover and there is some very fine work being done by these companies in Australia. However, I do not feel that more funding to the Arts is the answer but better education. The lack of music education in schools here now means that exposure for the young to art and culture is just not there in their foundation years and that is vitally important to the future of our artistic culture. Melbourne is fabulously cultural and creative and certainly has the most going on in the field of opera of all our capital cities. I was amazed and rather overwhelmed by the choice of entertainment available and could not get over how much the arts scene had “exploded” in Melbourne since my departure in 1992. It is fabulous to see that there are companies and groups catering to the needs of performers at all levels and to suit all musical tastes. I was thrilled that we still have a Victorian opera company as I was overseas during the demise of its predecessor and that made me very sad indeed. The orchestras in Melbourne are also world class and I have been most fortunate to work with the Royal Melbourne Philharmonic and the Melbourne Symphony Orchestra as well as the many and varied community and council sponsored orchestras. 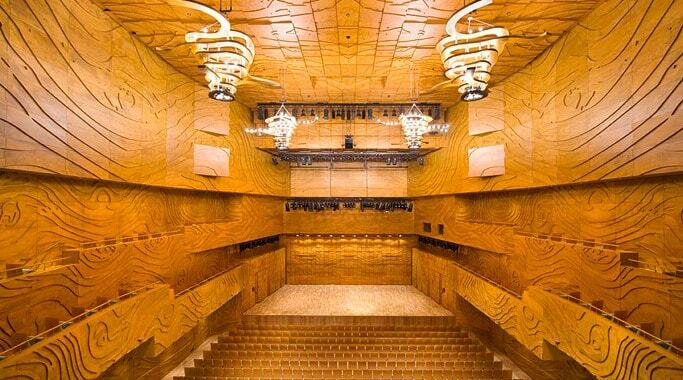 We now have the Melbourne Recital Centre and the vast amount of performances offered there are of an extremely high standard. As an audience member all my needs are catered for and I am more often than not, spoilt for choice! My needs as a performer are also met here in Melbourne and I am busier than I ever was in Europe. The last time Wagner fans heard you sing Erda was in the celebrated Adelaide Ring. How differently do you sing the role in 2016 and how have you evolved vocally and dramatically? Since singing Erda in Adelaide in 2004 my voice has become much richer and my technique more secure. This allows me a lot more freedom within my interpretation to express and project my voice more easily. I am older and wiser and so I can bring a maturity to Erda that I think she needs and gravitas to the sound world of her character as well. The character of Erda is not one of the largest or longest roles in the Ring Cycle but her prophecies cast a long shadow over proceedings. What are the challenges of singing a role like this? One of the great challenges of singing Erda is the stillness that is required. She is a character of great depth and complexity and although not on stage for very long at all in relation to the amount of time other characters sing, she has a limited time to make an impact and contrast herself to the other characters. She has little over 4 minutes in Das Rheingold to exert her influence over Wotan and still leave him keen to create Brunnhilde not so far into the future! Wagner’s genius in creating Erda’s music with this gravitas and import means the singer must sing with extraordinary legato and clarity of tone and text to create the maximum effect with minimum effort in a short space of time. How has Erda changed by the time we see her in Siegfried as opposed to her first appearance in Das Rheingold? In Das Rheingold Erda is immediately to the point with Wotan with her warning and then spends no time waiting for interaction with him once her point is made. When we see her in Siegfried she is confused and befuddled by sleep and bewildered that Wotan would awaken her after she gave such succinct advise in Das Rheingold! She is particularly fazed by what he has done to their child Brunnhilde. Her frustration and distress is shown clearly by her outburst towards the end of their scene. He has wrought havoc among the gods and yet he is still expecting her to come up with some answers as to how he stop this rolling wheel of disaster he has created. She is exhausted and confused and longs to have him allow her to return to sleep. With Neil Armfield’s re-imagined production for Erda in both Das Rheingold and Siegfried we see first hand Erda’s frustration with Wotan and his vanity and the scene in Siegfried is more a domestic argument between husband and wife who have been together for an extremely long time and have endured much. You describe yourself as a “true dramatic contralto” which is a rare and often misunderstood voice type. What is the difference between a contralto and a mezzo and which other roles in the contralto Fach (system of classification) do you enjoy singing? I am a true Dramatic Contralto. I think the term Contralto is greatly misunderstood as the perception when people hear the title, imagine a voice like Kathleen Ferrier, a traditional English sounding low female voice. I have the range of a Dramatic Soprano, however the colour and timbre of my voice is dark and rich whilst having the ability to project and cut through a large orchestra. These elements to a Dramatic Contralto voice are required to sing roles such as Azucena, Ulrica, Erda, 1st Norn, Waltraute, Klytemnestra, Mistress Quickly, Principessa (Suor Angelica), Principessa (Adriana Lecouvrer), Old Prioress (Dialogue of the Carmelites), Genevieve (Pelleas and Melisande), Dalilah; these are just a few of my favourite roles that require a darker, richer but at times more powerful and dramatic sound, where not only low notes are essential but powerfully projected top notes as well in many cases. A mezzo-soprano has a more lyric quality and is often required to sing in higher tessitura for longer, without the need for a lot of singing in the lower and bottom part of the voice for long periods. Roles such as Dorabella, Sesto, Cherubino, Octavian and Composer are examples of such roles. You have commented on how wonderful it is to finally be singing this repertoire in the Arts Centre, Melbourne, your home city. Can you tell us why it feels like such an achievement? 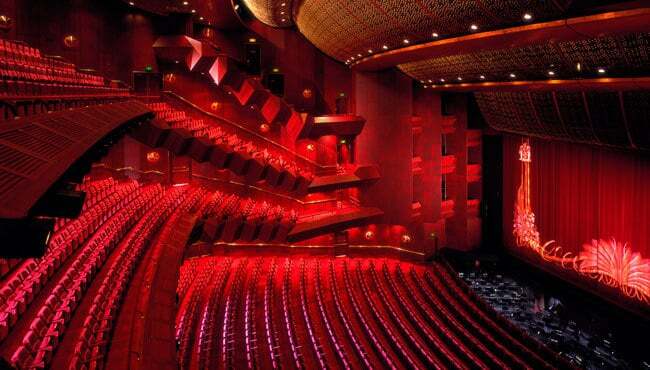 Having sung internationally for 20 years it was my dearest wish that I should come home and sing at the State Theatre, it being Melbourne’s Opera house. This year I will have sung in both the Concert Hall and The State Theatre and it was well worth the wait! When you leave Australia as an aspiring young singer it is never very far from your mind, no matter where you sing overseas, that there is nothing like singing to your home town audience. It is also in the back of your mind as you suffer through the trials of being on the other side of the world, alone and far from all you know and love, that the reason you are doing all this is to earn your place, after you have attained your experience and developed into an International artist, on that stage. I was fortunate to sing Verdi and Wagner roles in every other state in Australia but not in here in Melbourne at the State Theatre, until now. How have you enjoyed the rehearsal process so far? I have enjoyed the rehearsal process enormously. I have loved working with Neil Armfield and it has been a wonderfully collaborative process, to develop an Erda very different to his previous one created by you, Deborah Humble. You and I have a very different stage persona and so Neil has created an Erda for me retaining more of her earth mother qualities and this is reflected very much in the costume and style of direction in my scenes with Wotan. Many directors can be inflexible when it comes to their productions with a change of cast. It has been very refreshing to work with a director of vision such as Neil Armfield. Being conducted by Pietari (Inkinen) is also a joy. He genuinely likes singers, a huge bonus when conducting The Ring, and he is relaxed and calm. The Sitzproben (first rehearsals with the orchestra) have been fabulous and it is wonderful to hear what he is creating with the orchestra. I am looking forward to being in the audience for Die Walkure and Die Gotterdammerung.